Mark was born and raised in Northwest Arkansas. After graduating from Huntsville High School, he earned a bachelor’s degree in banking and finance from the University of Arkansas in Fayetteville. 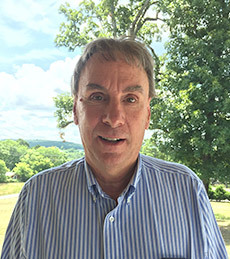 Mark has worked in the banking industry for over 35 years, spending almost all of that time in lending, and most recently as a Senior Loan Officer at Arvest Bank in Huntsville. Mark is involved in many community organizations, including the Huntsville Area Chamber of Commerce, the Huntsville Lions Club, and the Northwest Arkansas Regional Housing Authority Development District, where he has held various leadership positions over the years. Mark lives in Huntsville with his wife of 28 years and has two grown children.